Vividly Vintage! 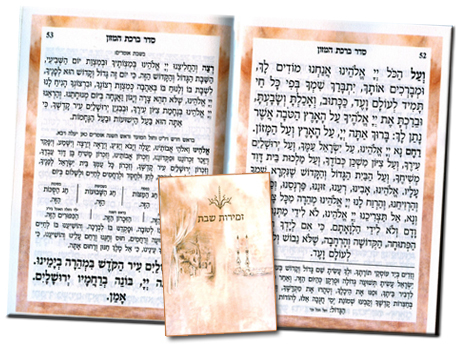 This Zemirot is designed to portray a scene of pure Shabbat serenity and heritage. 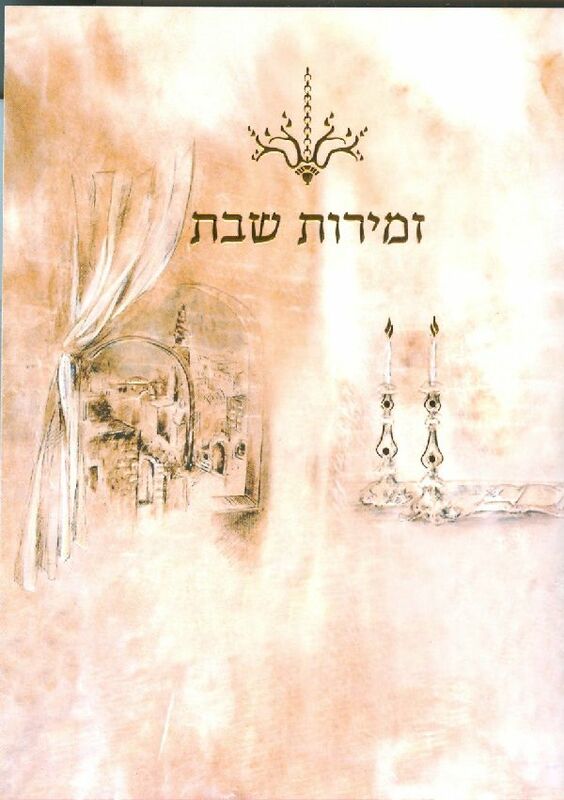 The hand drawn Candlesticks facing the Jerusalem view…is just so heartwarming. The airbrushed background together with the beautiful gold plated design form a masterpiece! Includes 64 ivory pages, with ultra clear black text. Measures 4.6 x 6.2 and will definitely enhance any event! Features all Hebrew full Shabbat Zemirot, Birkat Hamazon, Sheva Berachos and traditional Chassidic songs at the end.